Receive a Double Certification in 2 Easy Steps! Enroll in QC’s Interior Decorating Course and you’ll receive the Staging for Designers Course for FREE. Go back to school on the fast-track, and earn a double certification. You’ll begin an exciting career in just a few short months! Plus, you’ll receive 50% OFF any additional courses! Remember, you have a full three years to complete each course from the time you enroll. QC’s Interior Decorating Course gives you the training to create beautiful and comfortable homes, while the Staging for Designers Course teaches you how to successfully stage homes for sale. Discover more of what you’ll learn with your double certification by viewing QC’s topic comparison chart. Earn your double certification and begin a successful career in just a few short months. 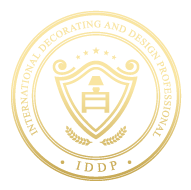 With the complete business training included in your Interior Decorating Course, you’ll be ready to start your own brand or work for an existing design firm!